Cryptocurrencies and related investments are serious businesses, as the price value of some coins hit over 1000% growth within weeks. But as the value of the cryptocurrencies rise, so does the prevalence rate of hacking and related fraud. With this, there is need to continuously find the best ways to safeguard our wallets. There are various ways to secure your wallet, including using encryption, use of cold storage devices and adopting Multisig wallets. Cold storage simply implies storing your crypto coins offline, safely away from any device that is connected to the internet. This greatly reduces chances of your coins being accessed by a hacker or scammer. There are various cold storage methods that include hardware wallets, paper wallets and USB drives. Let’s examine each of these methods of cold storage in more detail. Afterwards, we will look at Multisig wallets. Hardware wallets are one of the most secure storage methods available for cryptocurrency enthusiasts. Hardware devices like Ledger Nano, Trezor and KeepKey have topnotch security features that make them better suited to keep our cryptocurrency safe. What’s even better is that hardware wallets are anonymous and there are no salient risks of exposing private keys to cyber thieves. Hardware wallets are offline storage devices that offer convenience to the user. Furthermore, these devices come with in-built encryption and backup options that include the possibility to have private keys on a paper. And in case you lose the device, these wallets allow the use of a seed phrase to access your stored coins. The downside is that some of these hardware devices are very expensive. Nevertheless, if you wish to keep your riches far from the reach of eager hackers, go for a good hardware wallet. A paper wallet is the printed version of the wallet’s private and public keys. Paper wallets give you a variety of ways to use your cryptocurrency. For example, a paper wallet can be offered in the form of a gift card or bank card and you can spend it just as you would with other everyday cards. Your private and public will be on the paper and whenever you wish to send or receive cryptocurrency like bitcoin, you retrieve and input the keys accordingly. Once you are done, you need to generate another key, as the old one is only used once. A paper wallet is more secure than other forms of storage because it is completely offline. To secure your paper wallet, immediately you generate the keys, get offline and find some secure place to keep them. You can even take a bank vault or have it hidden in a place only you will be able to access it. Remember that if someone accesses the private key, your coins will be gone. A USB drive is also another offline storage method you can adopt to keep your private keys safe. Once you have the secret key safely on the USB drive, safeguard it from the wrong people. You can keep it in a safe or a vault. One caution though should be that the USB must not be used to store anything else that may introduce viruses or cryptocurrency-stealing malware. Multisig is a technology that requires users to sign. Multisignature wallets have a feature that allows access only after a number of people have signed in to the wallet. Such wallets include brands like Armory, Copay, CarbonWallet, and GreenAddress. Use of Multisignature wallet is less common among individual crypto coin owners but highly recommended for groups of like-minded individuals or companies who wish to have a cryptocurrency fund. Although safer than online and desktop wallets, it is important that users of a Multisig wallet be aware of their responsibility. Other methods of storing cryptocurrency that you should use strong encryption to safeguard your private keys. The use of mobile wallets is another great way to store your precious coins. Though they are not the very best, mobile wallets do offer some security and anonymity to your cryptocurrency transactions and storage. You can easily download these app-based wallets on your mobile. Many are also compatible with the common OS like Linux, Windows, and Mac. I have in mind wallets like Mycelium and BreadWallet that easy to use and offer a lot of conveniences because you can use them on the go. There is a downside though; these mobile apps are still susceptible to online threats when you use it to browse. It is, therefore, your responsibility to protect your phone and therefore your wallet from mobile malware. Desktop wallets offer several advantages in the storage of cryptocurrency over online wallets. Even though online wallets are usually easy to access and navigate, their vulnerability to hacking makes them less desirable as an option for safe storage. However, a desktop wallet can only be accessed on a personal computer. What’s more important is that your private key is only accessible on that computer. This means that your private key is less likely to be exposed to online risks. But desktop wallets aren’t without their weaknesses. One big threat to a desktop wallet is malware. There are several high-tech bugs out there that can infect your desktop wallet and steal all your coins. One way to safeguard against this is to have a separate PC dedicated to keeping your wallet. Such a computer should not be used when logging to the web. This is yet another way to store your crypto coins. 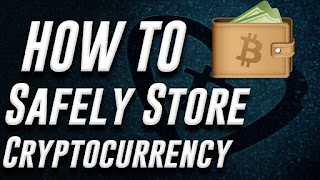 Note that this method allows you to store your bitcoin and other coins online. You can get better online wallets by visiting sites like Blockchain.info. One advantage of an online wallet over an exchange site is that the online wallet allows full control of your private keys and as such, you can secure your coins. However, these keys are still stored online by Blockchain.info rendering them vulnerable to hacking. Just like we recommend that you do not store large amounts of crypto at an exchange for long, we ask that you apply the same principle when dealing with an online wallet. 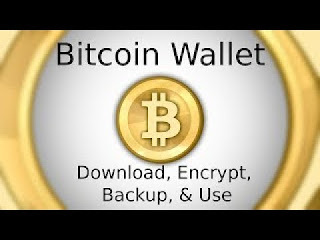 You may use an online walletbut it compromises the security of your coins. Keeping your coins safe is your responsibility. Do not trust your private keys to anyone, because that is literally the key to your wealth. 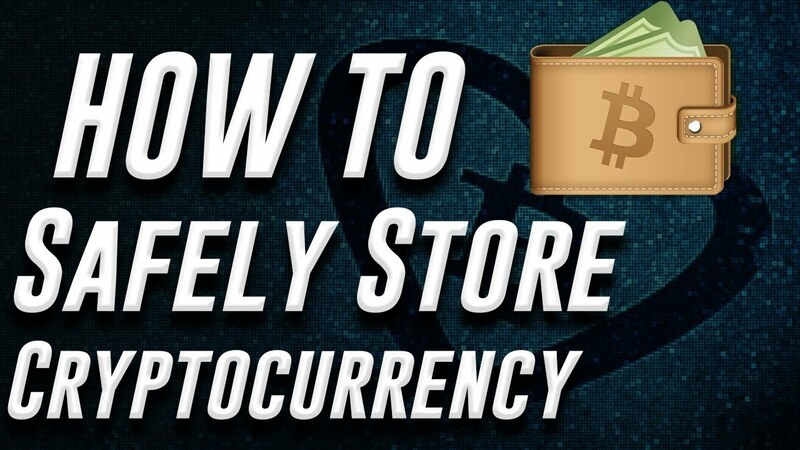 Hopefully, this article has jumpstarted your curiosity into the topic of cryptocurrency storage. Go ahead and get some crypto coin and store them in your favorite wallet. Please check out our website and learn more about the cryptocurrency world. so we just claimed it was hacked. he said if there is any way to get free coin online, me i did research tho, but nothing successful. Biko i need your help o... Any possible recommendation or answer to the question?